Agios Nikolaos or Aghios Nikolaos (Greek: Άγιος Νικόλαος [ˈaʝos niˈkolaos]) is a coastal town on the Greek island of Crete, lying east of the island's capital Heraklion, north of the town of Ierapetra and west of the town of Sitia. 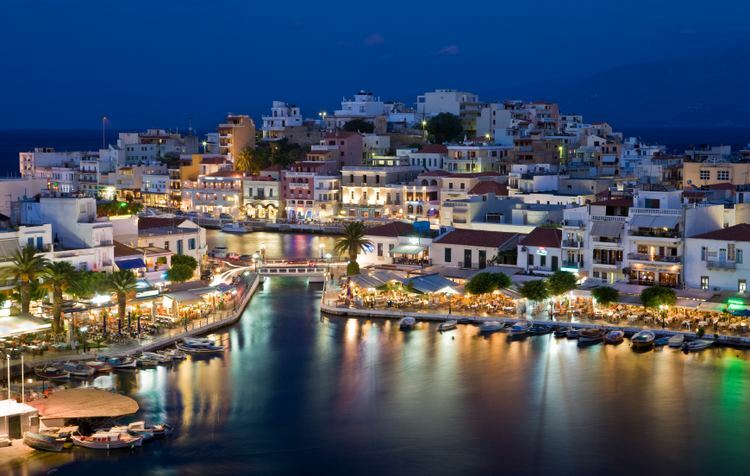 Agios Nikolaos is accessible from the mainland and the whole of Europe through Nikos Kazantzakis airport, and the many daily ferry services in Heraklion (64 km). You can also travel through Sitia airport boarding onto a domestic or charter flight or through its harbour (67 km). Recently the town became host to a department of a Technological Educational Institute (TEI), offering tourism-related courses. Tourism is mainly West European with Greek tourism concentrated in mid August, though there are a considerable amount of Russian vacationers in East Crete. The lagoon features a small park with a trail, traditional fishing boats, ducks, pigeons, an amphitheatre and many cafès. 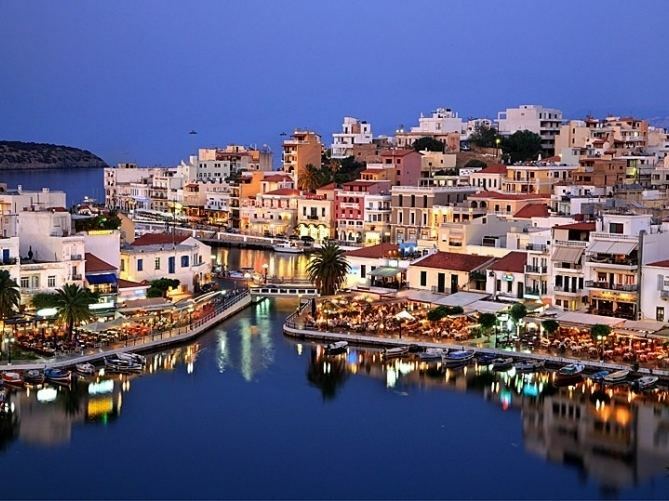 The modern city of Agios Nikolaos became internationally well-known during the 60's, when it was "discovered" by famous cinema directors (Jules Dassin, Walt Disney etc. ), BBC producers and many others. It was then that the rapid tourist development of the area started. Among the various productions filmed were He Who Must Die, The Moon-Spinners, and the TV series The Lotus Eaters.